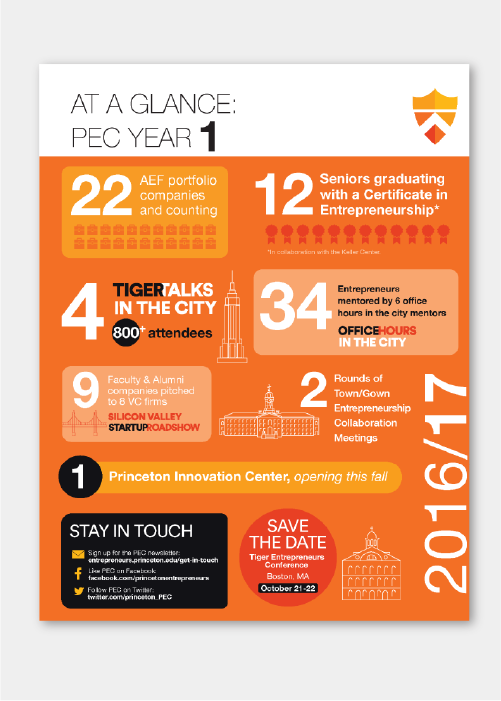 We helped launch the PEC with a comprehensive brand redesign. 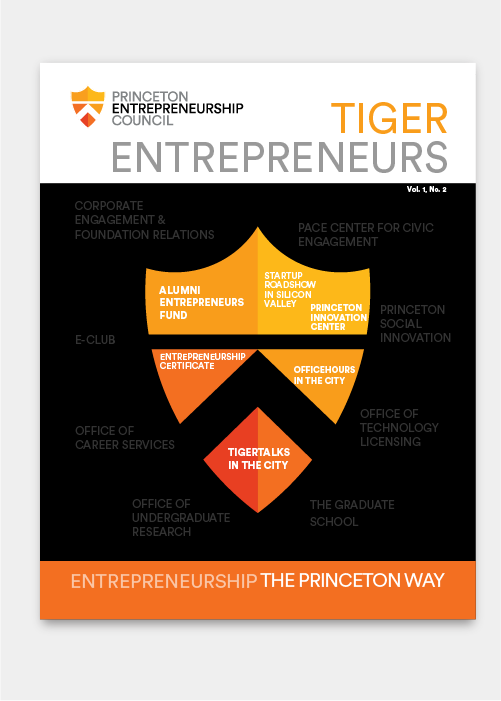 This included an overall visual identity which included new logo design, logo lockups, website design, and a magazine. 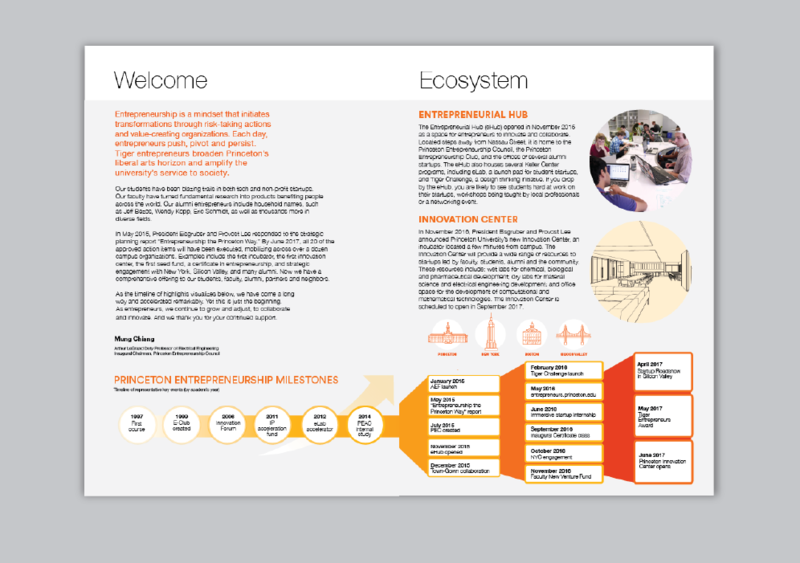 We’ve also designed infographics, signage, letterhead, small slim-jim brochures, event graphics, and eblasts. 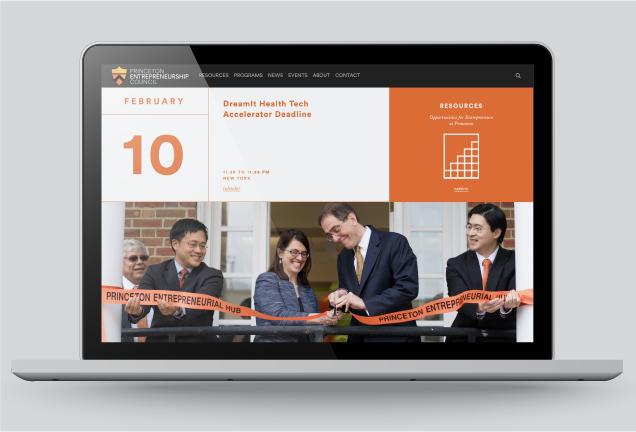 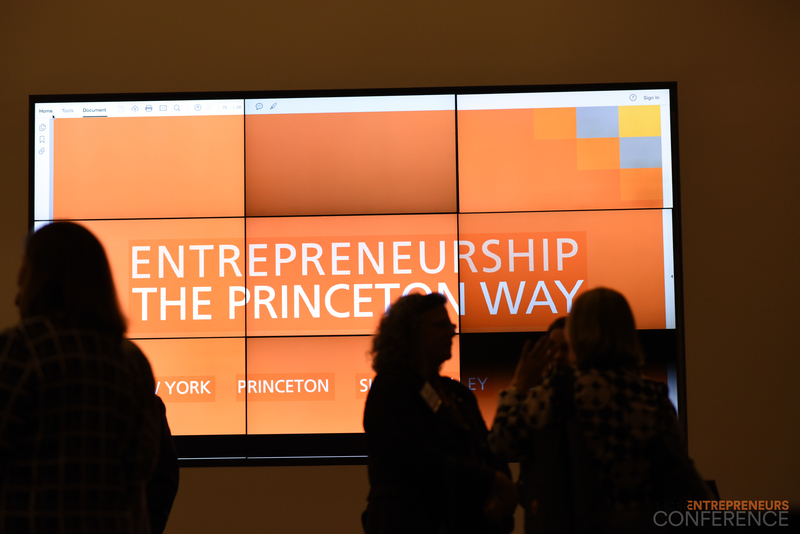 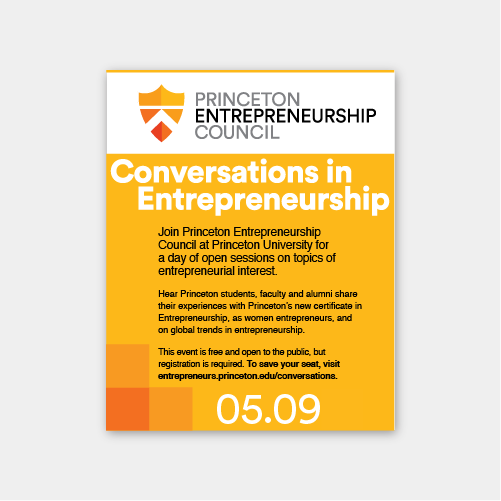 Our design work for the Princeton Entrepreneurship Council is visually specific (the new modern shield helps convey the technical backbone of the Council) while still clearly fitting under the University’s umbrella branding.